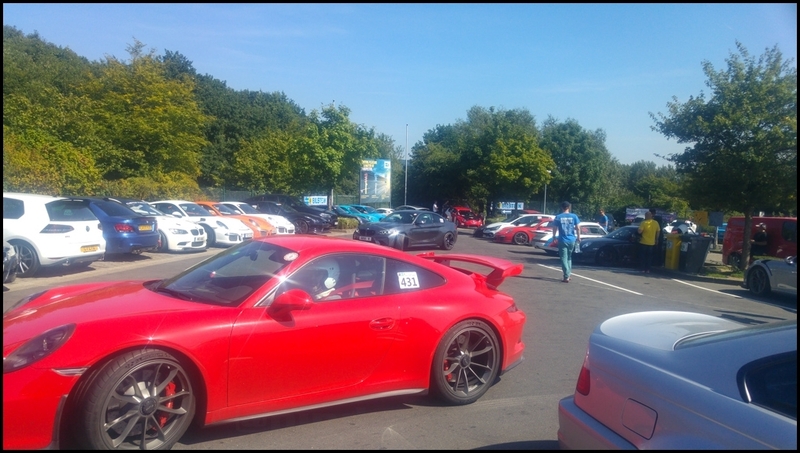 I`ve been writing these trips reports from European and UK trackdays for years but have never shared one on here before. From reading the threads I believe someone will find it interesting. You may want to grab a coffee, it`s a rather long post. 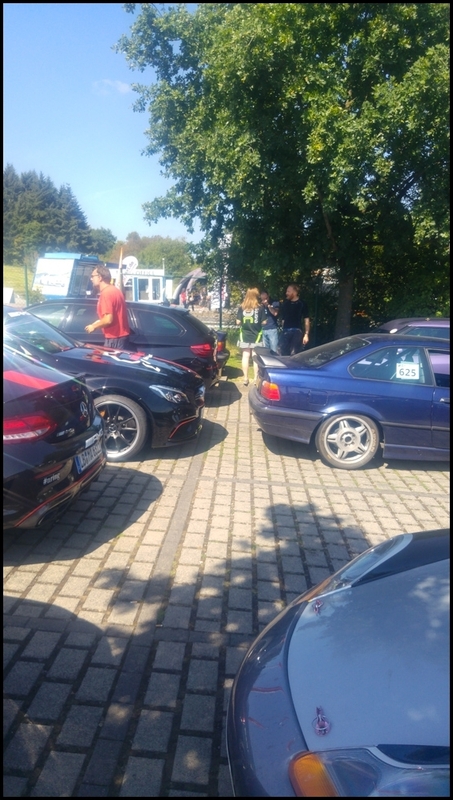 Even though I`d had a completely trouble free day at Cadwell last month I was still very apprehensive about 2 back to back days at the Nürburgring and then the next day at BilsterBerg. 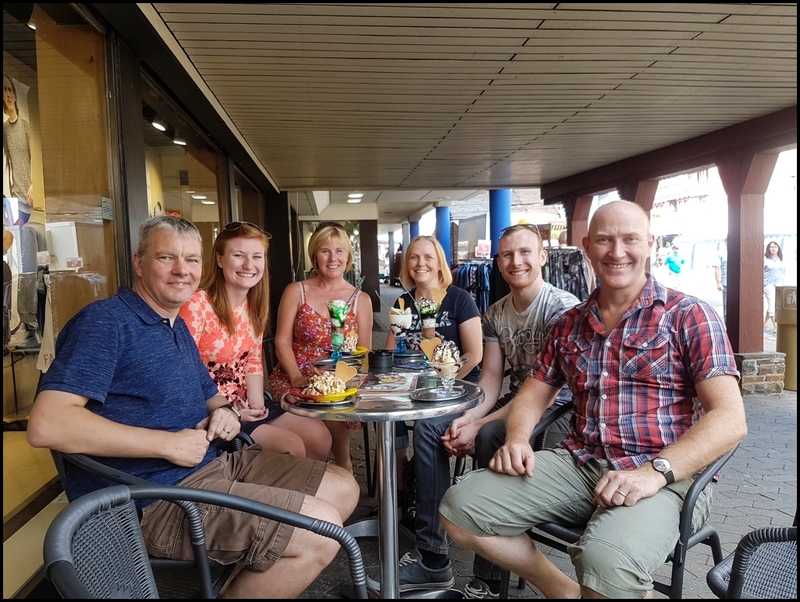 I had no reason to suspect there would be a problem, I was happy with my preparation but I still had those nagging doubts in the back of my mind as we left home and drove across the M62 to the ferry. I don`t really know why I was apprehensive, but I`m always the same and having 3 back to back days of abuse with no time to repair between them meant I knew that any big issue could affect the entire trip. 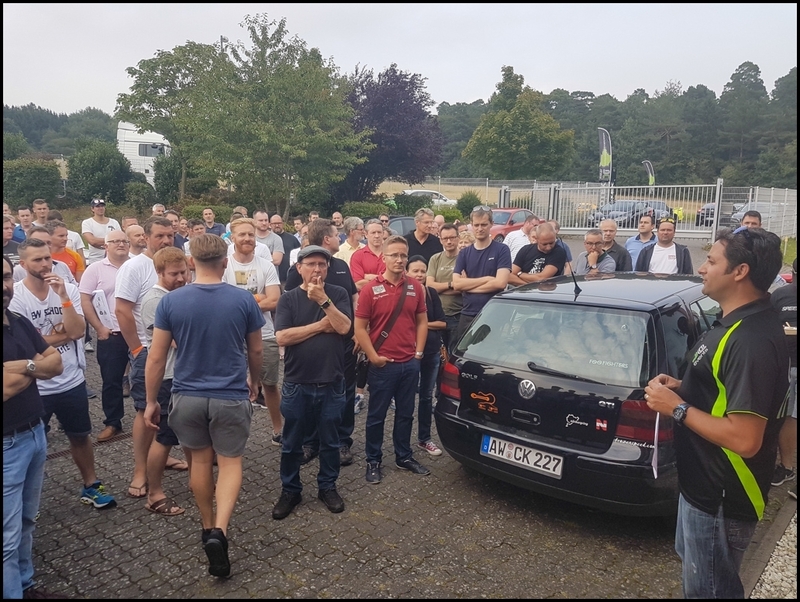 So far I`ve been very fortunate and despite all the abuse the Golf gets on track, the only overseas day I have been unable to drive was the Nurburgring trackday after 2 days at Spa last year. 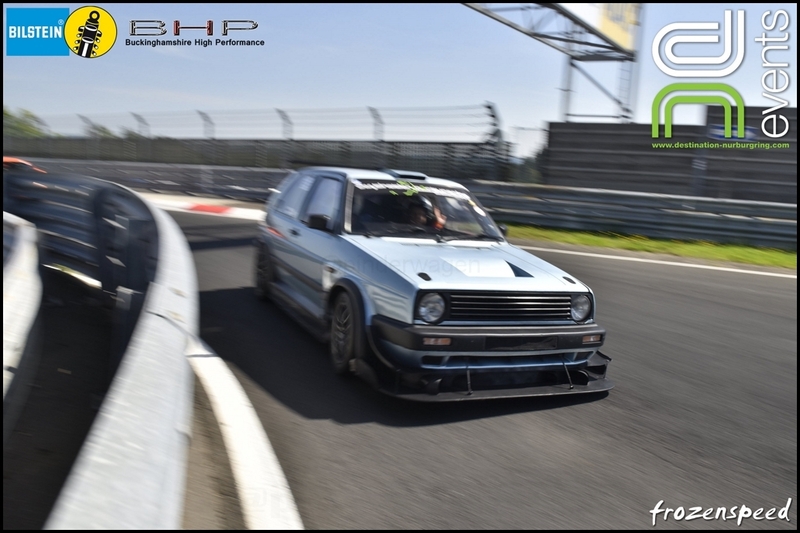 I realise that I`ve pushed the Golf far beyond what it was designed to do and accept that comes with an increased chance of failures but over the last several years I`ve found and addressed many little issues, several before they even caused a problem and that gave me the confidence to book 3 hard back to back trackdays. 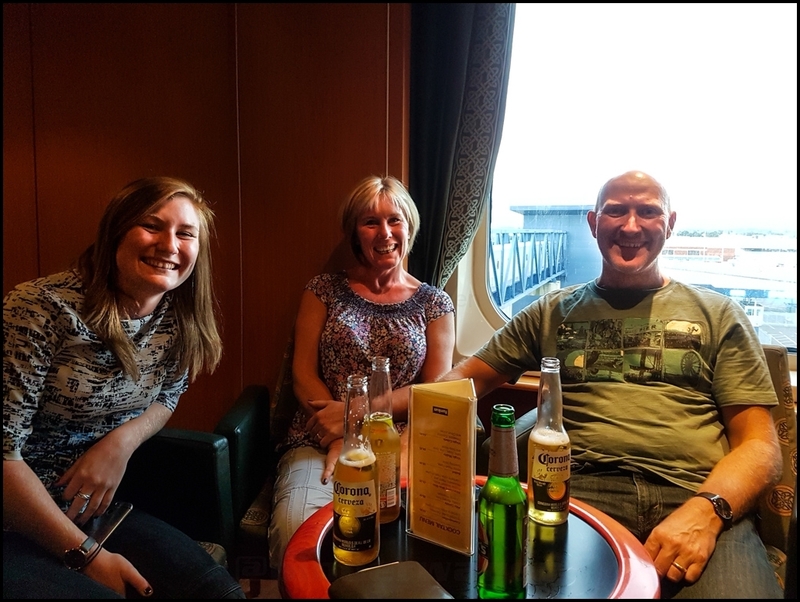 After a trouble free Ferry crossing where we had a relaxing meal and beer followed by a good sleep we made our way across Holland. 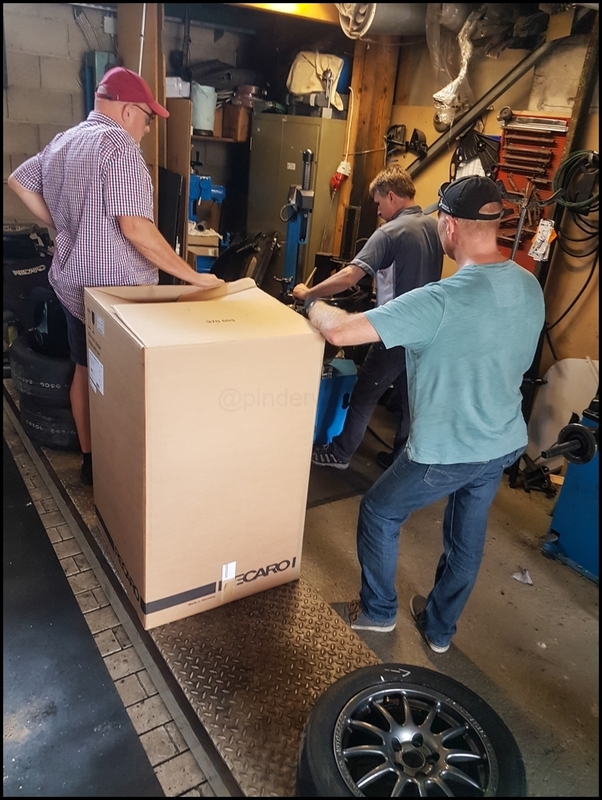 Rather than go straight to the Ring we stopped off to see Chris who races in the Youngtimer series in his E30 BMW on the Nürburgring and also at various other European circuits. He had a couple of spare sets of lightly used Hankook slicks that I was picking up off him. 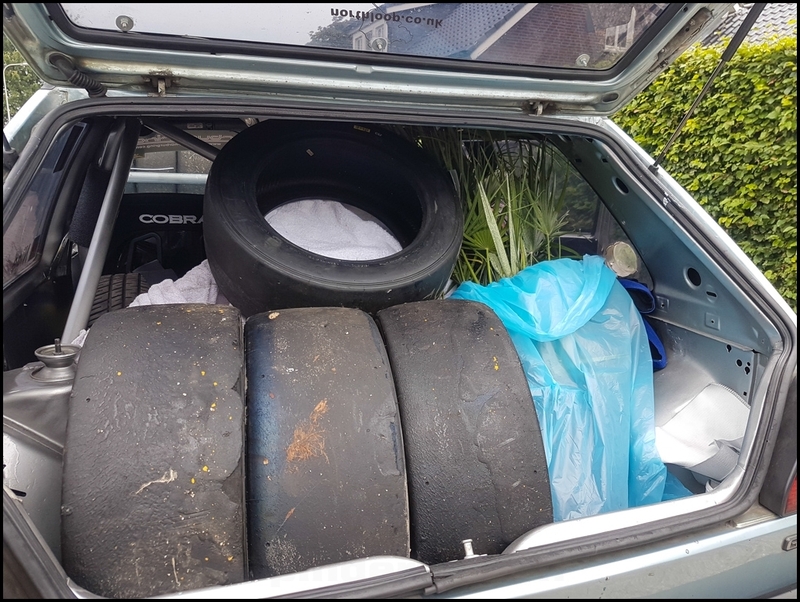 I loaded up the Slicks but he owns a Garden centre and Lou couldn`t resist buying some plants she hadn`t seen in the UK before. 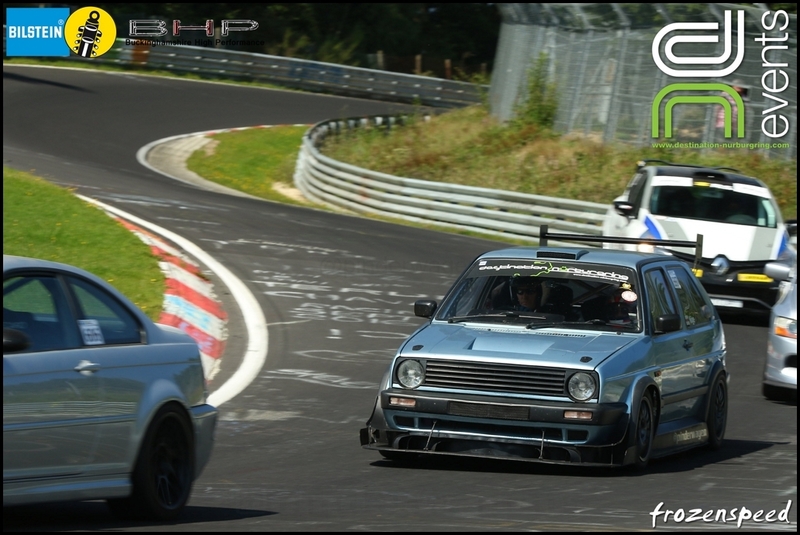 When we were close to the Nürburgring I called and had 2 of the slicks mounted onto a spare pair of wheels I`d taken. We then filled up the jerry cans checked in at the guesthouse. 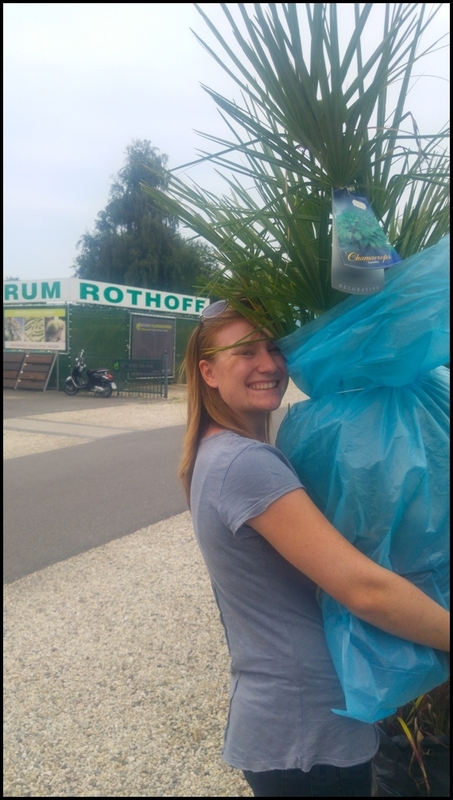 After unloading the Golf, Lou and Cat walked up the the Lindenhof for beer and to chat with Martin whilst Matt and I made sure the camera SD cards were formatted, unpacked the tyres and plants from the Golf and then walked up to join them. 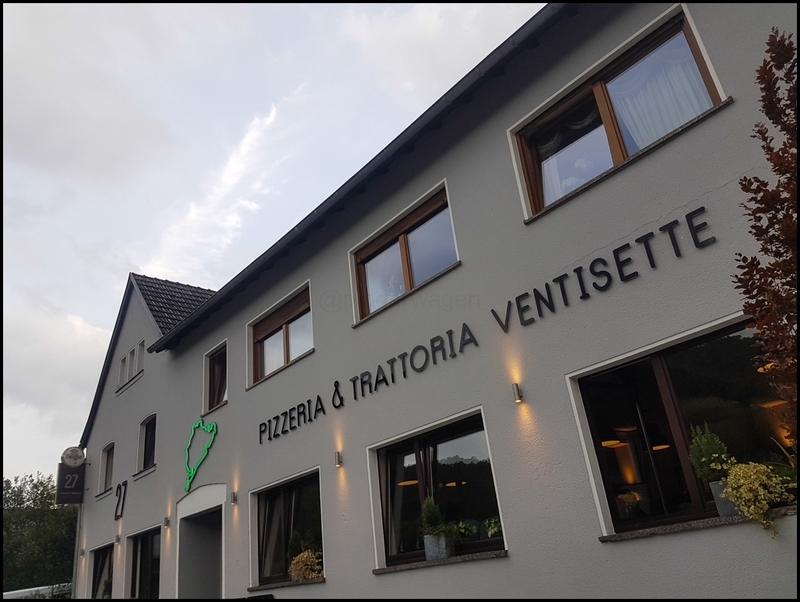 We were going to go to La Lanterna for a beer but Martin recommended a new Italian in Adenau next to the Bredischeid bridge. 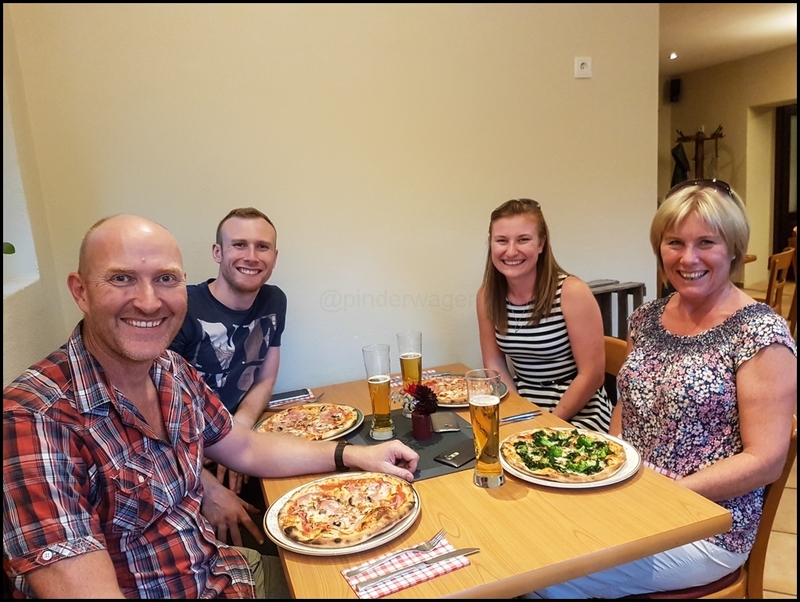 The service was good and the Pizza was delicious although there was nothing on the dessert menu that really jumped out at us. Once I came to pay I found out they didn`t accept cards. Thinking nothing of it I drove into Adenau to call at the cash machine, but the town Fest was on and the centre was closed so I had to walk into town instead which was a bit of a pain. 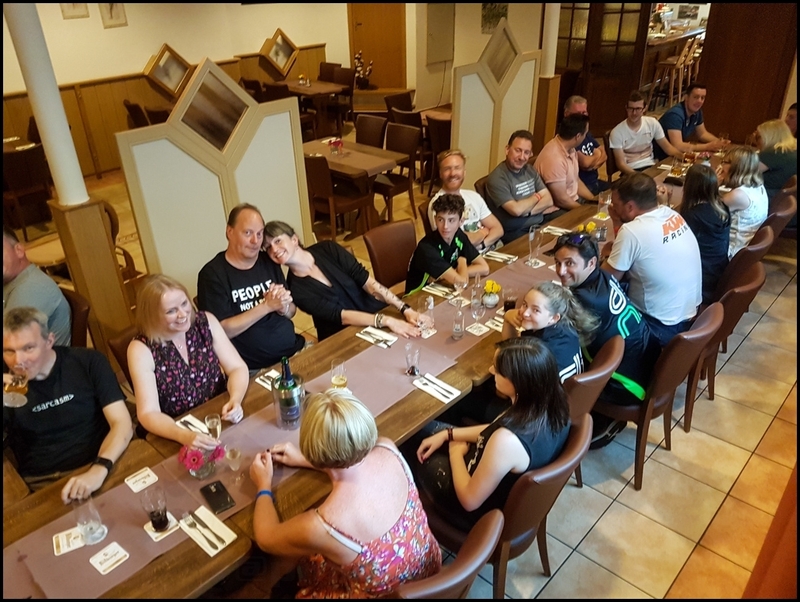 We all enjoyed the meal and we wouldn`t hesitate to return. After we`d finished we popped across to the Comfy Corner to say hi and have some icecream. We`ve been going several times a year for the last 12 years now and it just feels like popping down to the local pub. After a very leisurely Sunday morning where I actually managed to sleep in for once, we wandered down into Adenau to the Icecafe where we met Steve and Helen. We usually sit inside but it was already very hot so we took the opportunity to sit outside in the shade. Signing on was at ROTEK as usual and we started setting up at 14:30. We have a streamlined system where we get everything ready for sign on. 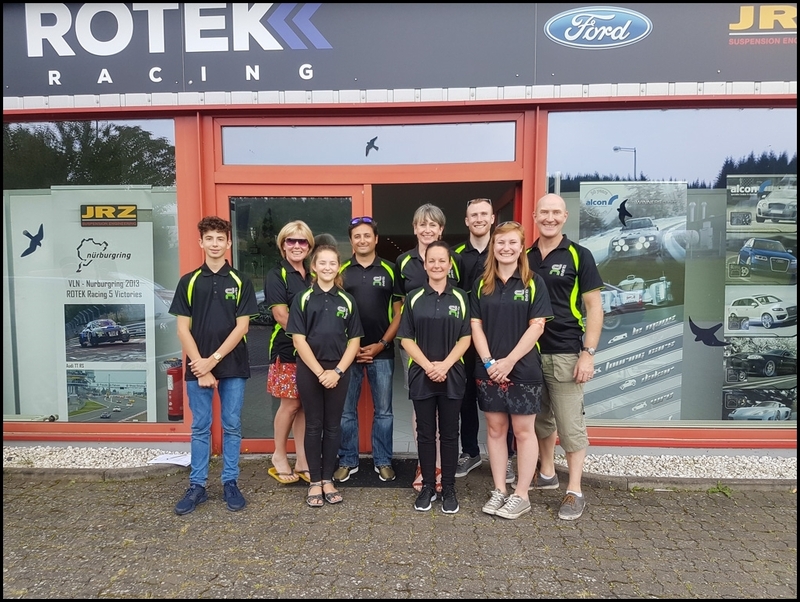 For once we had finished everything before the first driver turned up to sign on which is unusual as there is usually someone who is very eager to get signed on as soon as they arrive in Nurburg. 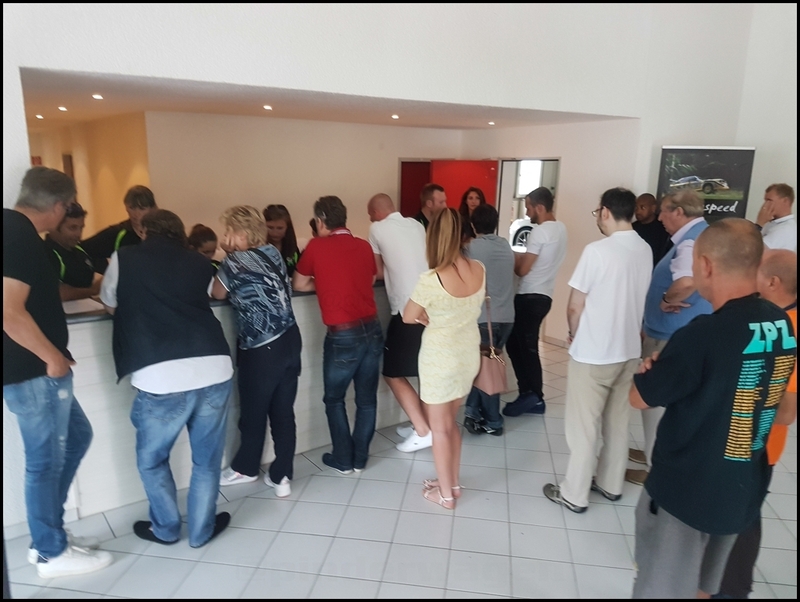 The queue for was pretty small and whilst Matt, Claire, Cat and Helen were doing the signing on, Lou and I were on the door welcoming people and checking they had filled in the indemnity forms before they queued. It always surprises me how many regulars still go to queue, then when you ask if they have filled in their form they realise they haven`t and go and do it. 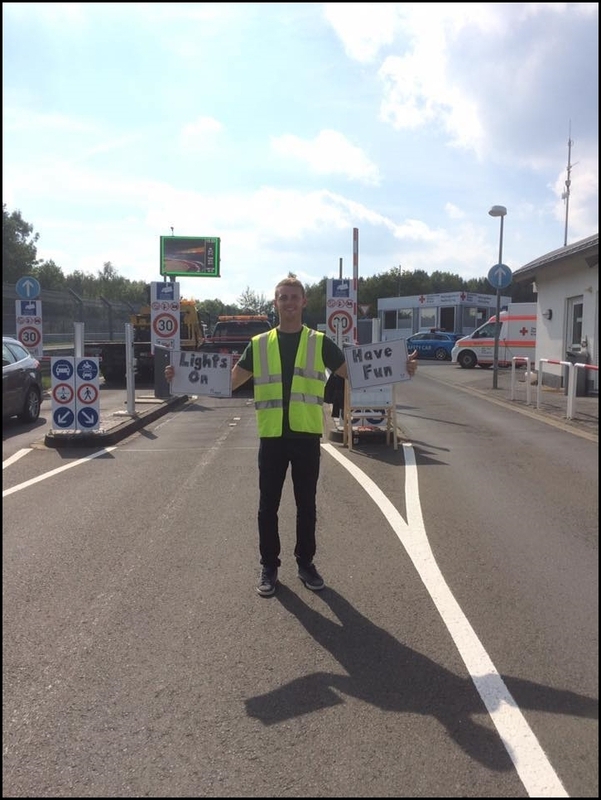 At least by intercepting them as the arrive, it saves them queuing only to find they have no paperwork filled in and then have to do it afterwards. Initially there was a slow trickle of people arriving and they were signed on without needing to queue, but most people seem to arrive within a 30 minute window which invariably means a bit of a wait. As there were 4 people signing them on it didn`t take too long and people were happy to stand and chat whilst waiting anyway. 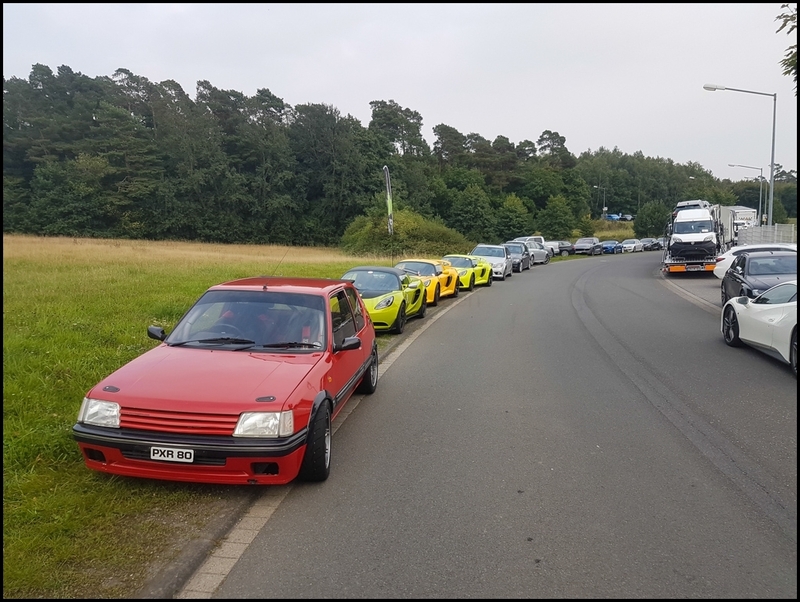 A rather varied selection of cars parked up outside as the drivers were waiting for the briefing to start. Darren wisely gave the briefing outside in the sunshine. 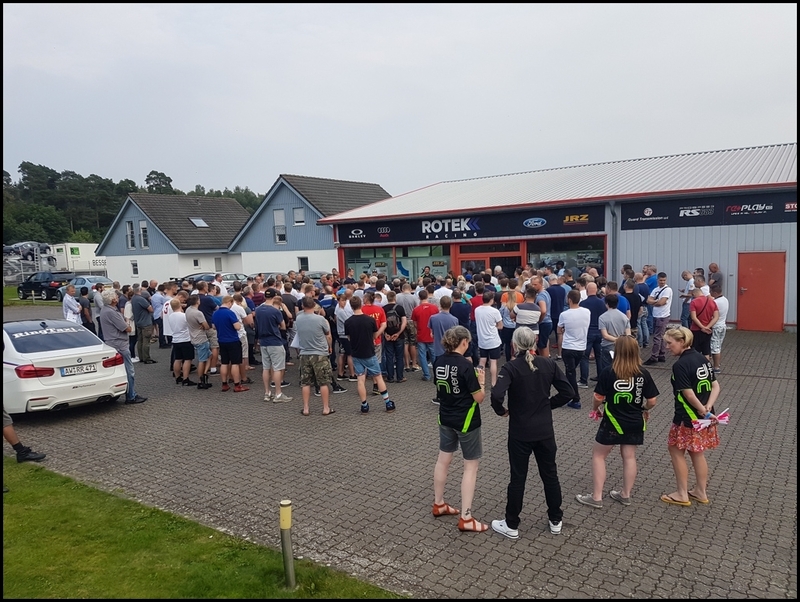 Not everyone is a driver, a large number of attendees were passengers but they often hang around for the briefing as they are travelling with the drivers. Once finished, the drivers briefing bands were given out and the unlucky few who arrived after the briefing started were given details of the next drivers briefing the following morning. 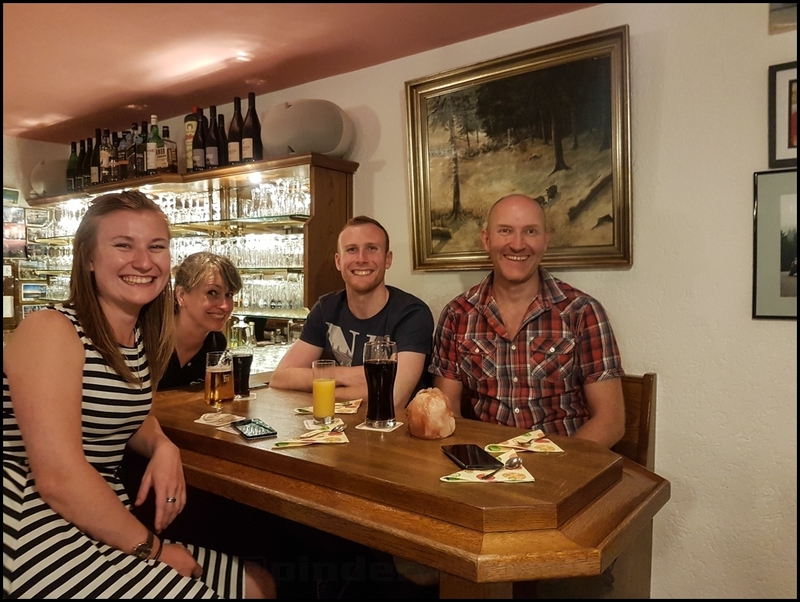 After we had tidied everything away around 30 of us drove down to Adenau and had a very enjoyable evening in the Comfy Corner. Sam and I were giving each other the usual banter about his M3 vs my Golf. 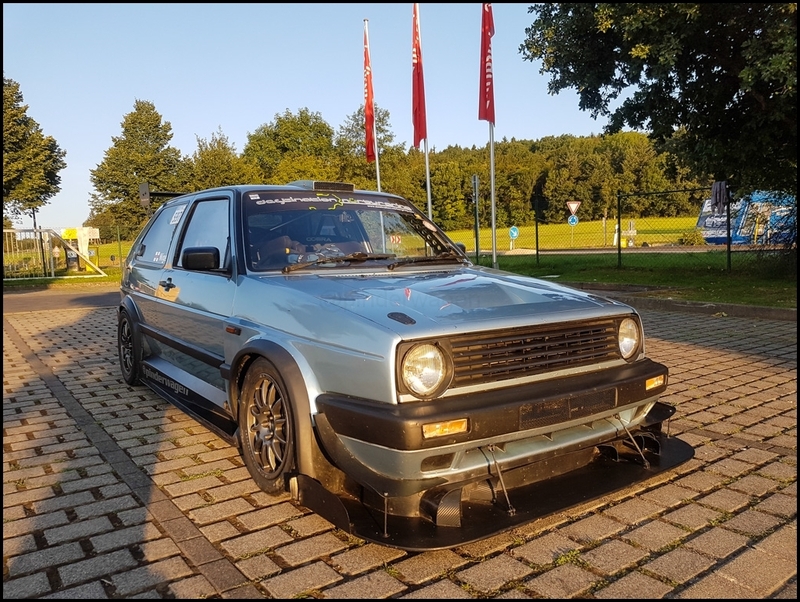 A particular highlight was when he was bringing out his usual argument that my power to weight is better, as if that explains why a MK2 golf is quicker than a top of the line E46 M3. By now Sam had drunk a couple of beers and was getting into this argument. I recalled him saying he had 280hp/ton when we had this discussion last time. "It is around 996kg, call it 1,000 Sam"
He punches the number in the phone and comes up with the same number. 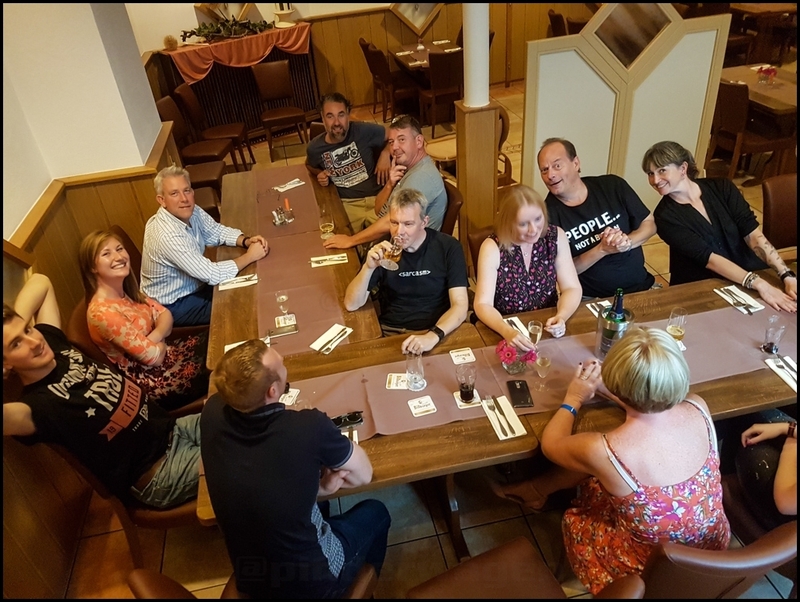 By now everyone at that end of the table was in hysterics as we all know the Golf is somewhere between 320 and 350HP but Sam was utterly confused and didn't realise what we were laughing at. "So Sam, we have the same Power to weight. So why am I faster ?" 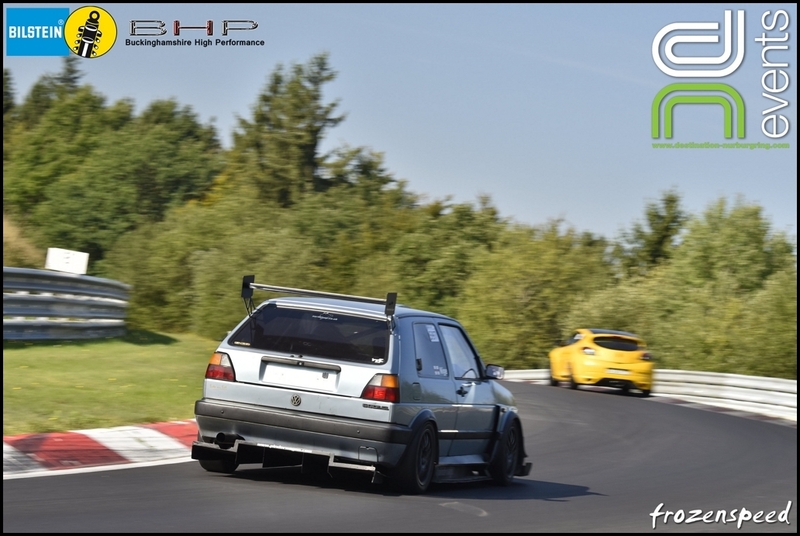 I`ve been doing trackdays for over 12 years and in that time I have driven over 2,100 laps of the ring and well over 100 trackdays. It would be fair to say I know what to expect on an event and am pretty comfortable with what I`m doing. Why is it then that I still wake up so bloody early before a trackday ! I woke up at 04:45. That is an hour and fifteen minutes before my alarm was set to go off and once I woke, I just couldn`t get back to sleep ! After breakfast I drove down to the carpark, unloaded the Golf and dropped the trailer off in the overflow carpark. It was starting to get warm already and it was only 07:15. The forecast was for a hot clear day and tomorrow was to be even hotter. The alarm woke me at 06:00. I was shattered when I went to bed last night and slept straight through which was a pleasant change. I had gone to bed knowing the car was fixed and there were no other issues which is why I probably slept so well. 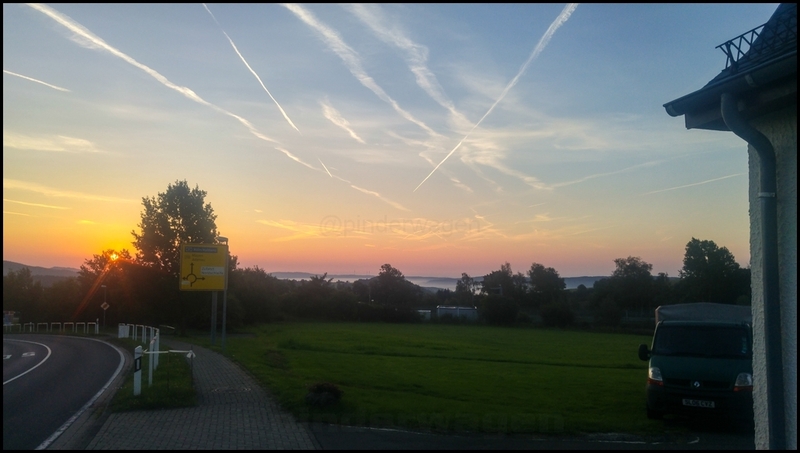 That is exactly the sky you want to see before a trackday. 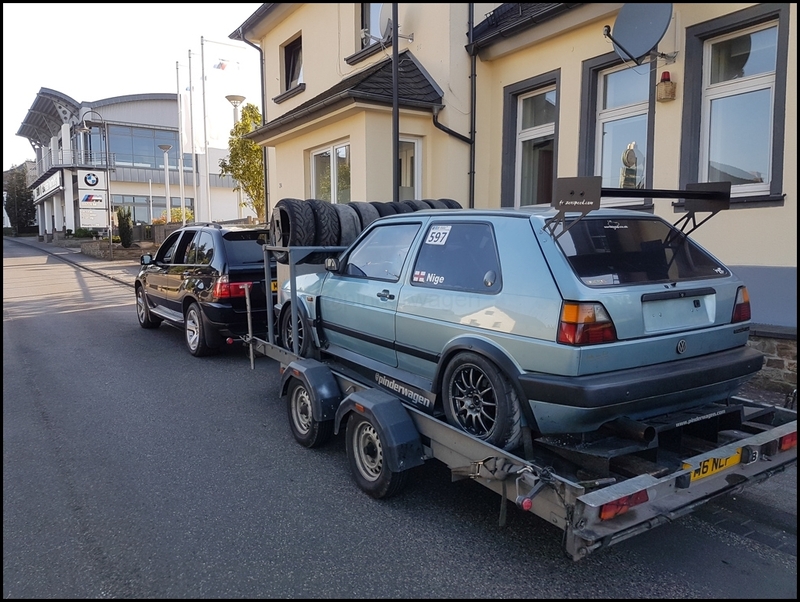 After breakfast we unloaded the Golf again and then set about refitting the turbo heatshield. I had a new blanket on order but it hadn't arrived in time so I had used some aluminium to make a shield. We had removed it yesterday to access the banjo and the securing fixings had been damaged. Adam had a steel wrap tool and we used that to secure the shield to the manifold for the trip. I owe that man a beer. The 07:30 clouds of yesterday were gone, there was no doubt whatsoever today was going to be even hotter. Winter cosmetic work is to repair the diffuser strakes and cover the slots in the tailgate where the rear wing bolts in place. The 'temporary' install has been like this for a year now and it looks tatty. When I finished driving yesterday the front tyres were 29psi HOT. After cooling overnight they had dropped to 16psi. 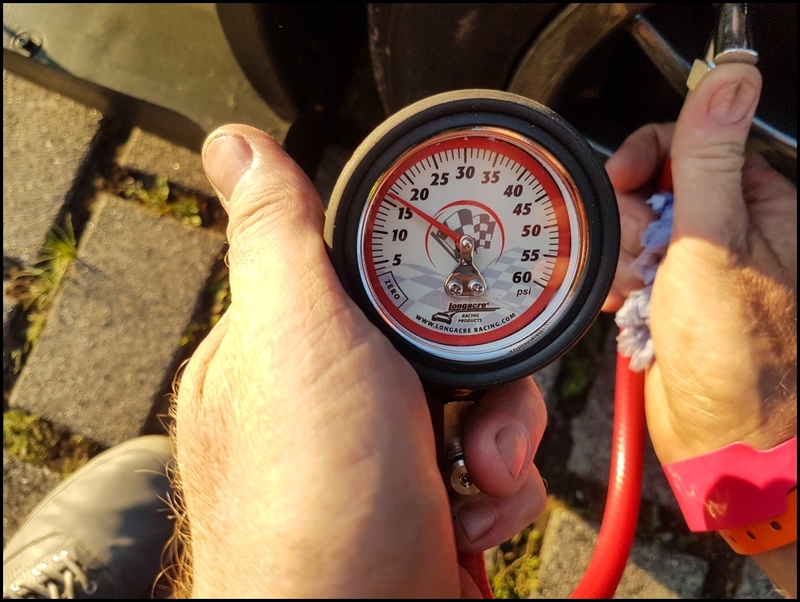 I pumped them back to 23psi cold and then adjusted after the first few sessions. I will probably give Nitrogen filling a try next year as that amount of drop is huge and I wasn't comfortable starting with such low pressures. The Belgian F1 GP had been at Spa on Sunday and Nico Hulkenberg hired this 911 for some laps on Tuesday. No PR stuff, he just wanted to drive the Nürburgring with no fuss and enjoy some clear fast clear laps. Matt and I went out to do 2 or 3 laps on the bounce before the day became too hot. 3/4 of the way round the first lap I heard a whooshing noise and the boost pressure dropped. If a hose pops off it drops to zero but this was still showing 0.4Bar. It took about 5 seconds to spot the split turbo boost hose once we returned to the carpark. The jubilee clip had weakened it and the pressure finished it off. Fortunately, I had a spare 57-51mm silicone reducing elbow in my spares box so it was a simple matter of swapping it over. 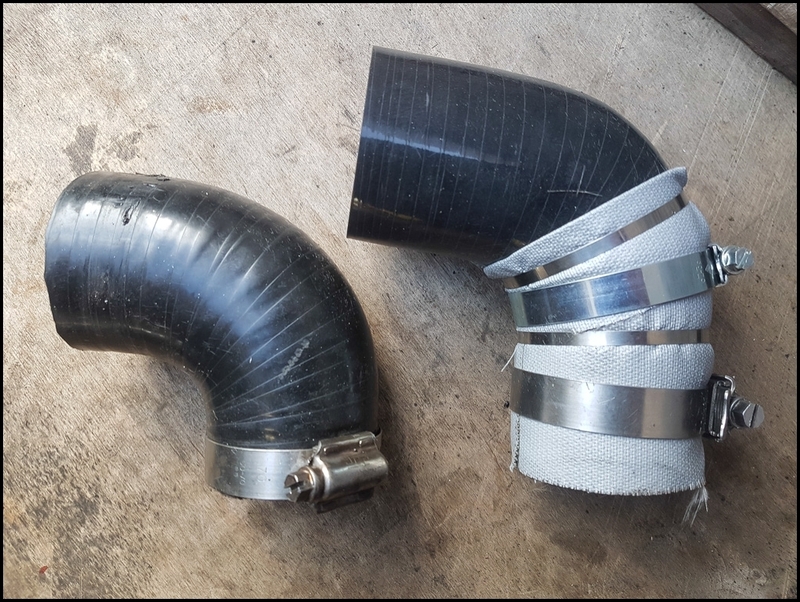 That was an old elbow and when I returned to the UK I bought a new one and wrapped the portion that was close to the turbo hotside with silicone coated fibreglass matting to protect it from the radiated heat and the pinching effect of the jubilee clip. Perfect track conditions, almost no traffic and a car that is running as sweet as it has ever done. 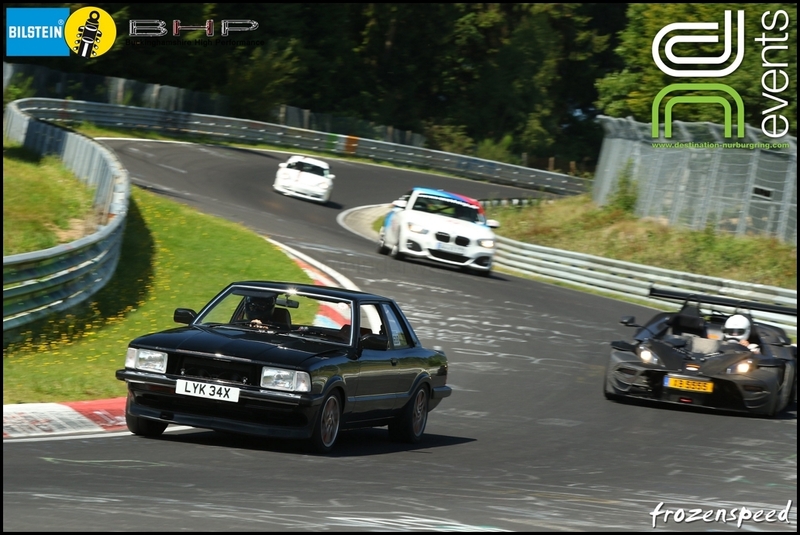 Time to try high boost on Dottinger Hohe straight. Under the bridge at 157mph on the pbox but a BMW who had exited the pits was in the middle of the track so I slowed, moved left and passed him into the dip. Wanting to put some distance between myself and someone who quite obviously wasn't using his mirrors, I didn't lift enough after the dip and when I went over the bump going uphill the front wheels spun up. When they landed it stripped the teeth off my 0.795 5th gear. Used 3rd and 4th for the rest of the lap and when we returned drove to the carpark and removed the wheel and gearbox end cover. The magnet stuck to the outside of the end casing had picked up a load of fine metal particles and the larger ones were sat in the bottom. When I strip 5th gear, I certainly strip it properly.. 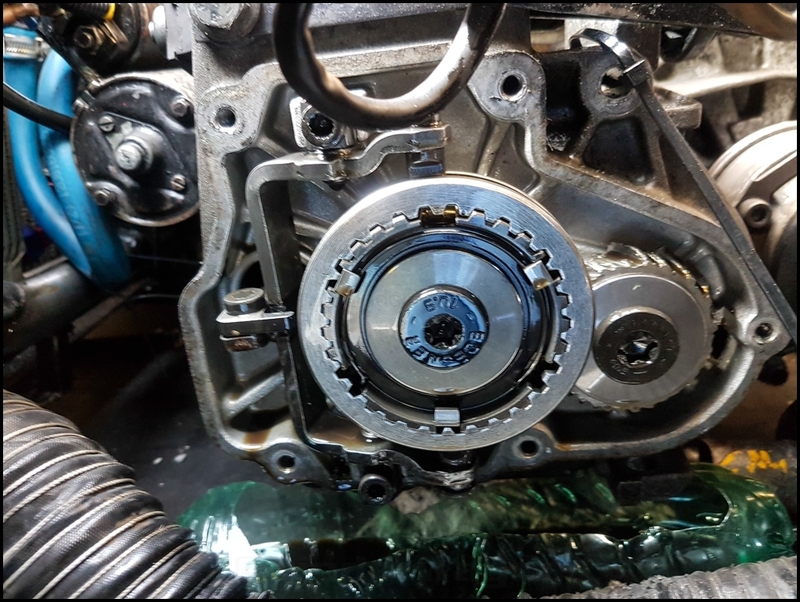 When I stripped 5th at Donington a couple of years ago, that was down to low oil level, the design of the gearbox where 5th is the first to be starved and high cornering forces, this time it was simply too much torque applied suddenly. This time it was completely my fault. I hadn't lifted over the bump, the wheels had come off the ground and being on high boost spun up the wheels and the torque was just too much when it landed. 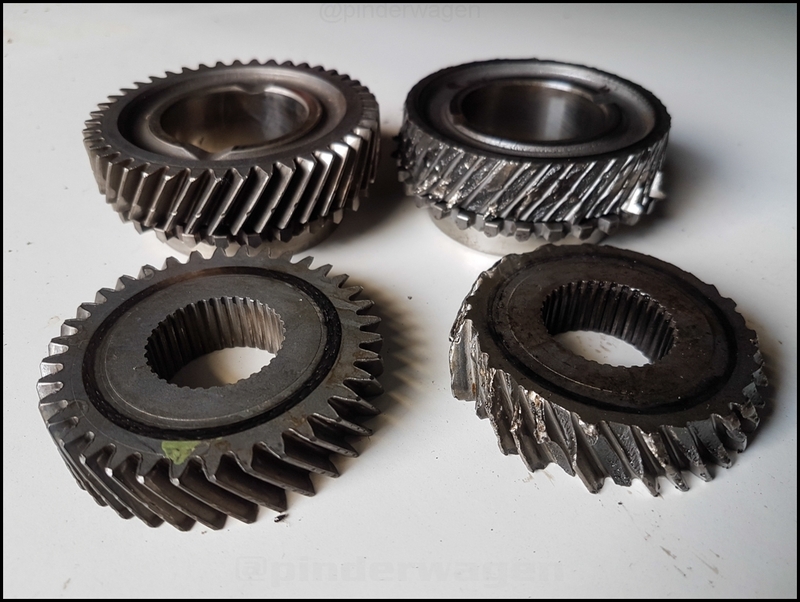 The gears are fine is they are engaged when the power is applied but that sudden zero to full load shock was far in excess of what it was ever designed to cope with. I usually carry a spare 5th but when I looked in the box it wasn`t there. Couldn't find it anywhere so ran without it for the rest of the trip. Upon returning home and emptying the X5, I found the spare 5th tucked away in one of the storage lockers in the back of the X5 where I had put it for 'safe keeping'. I'm sure we've all done it, put something in a place that will keep it safe and then can't find the bloody thing when we actually look for it. I was halfway through removing the damaged 5th gear when the circuit closed for an incident at Ice curve. I used the opportunity to have some lunch whilst the circuit was cleared. 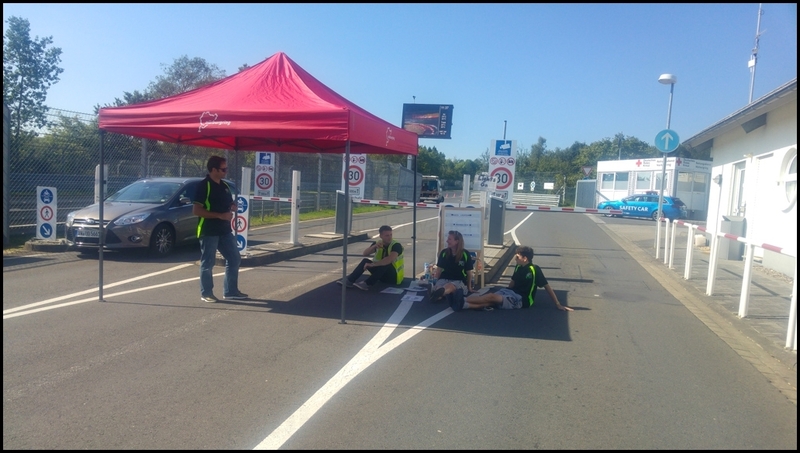 When it was about to open Darren joined Cat, Toby and James in the shade ready to check wristbands as the drivers went out. 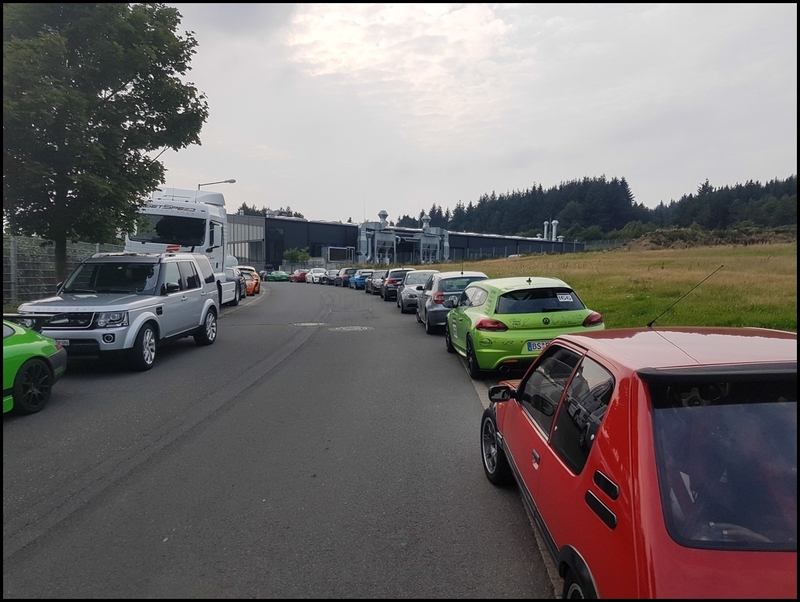 The carpark was actually full for the first time in 1 and a half days during the closure. 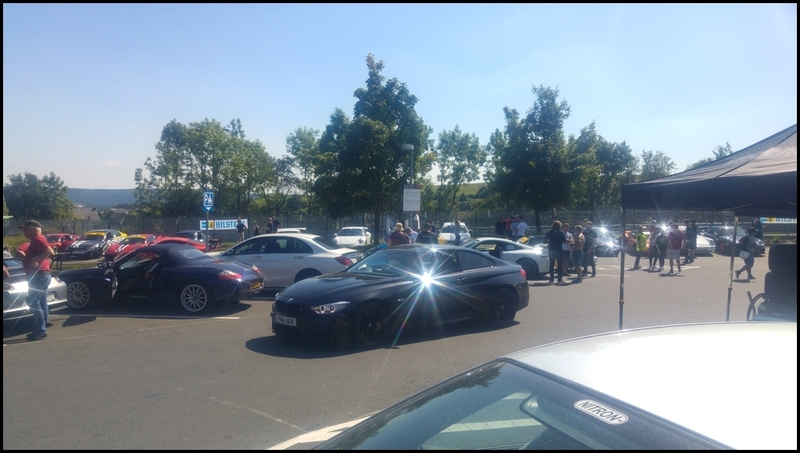 It did mean you could have a wander around admiring some of the very well prepared cars and spec your own Porsche should you ever want one. 'I like that colour, but with those wheels and maybe that interior' In the UK I hardly ever see them but on these events they are everywhere. When the track reopened there was a queue of people wanting to get back on track. I haven't driven a busy lap since I stopped doing TF so I used the opportunity to take Helen for a lap. If you only do TF you will watch this lap and think it's quiet but for a trackday, it was a busy one. After all those years of having to plan an overtake a slightly slower car, it's now almost too easy, especially as for the first half lap I ran it on high boost. Jochen moved to T13 and typically he snapped me when I ran wide and ended up a long way from the armco. Photos like this show just how much body roll the Golf has. I`m hesitant to change the front ARB as it feels fine from inside the car but I sometimes wonder if it would help. 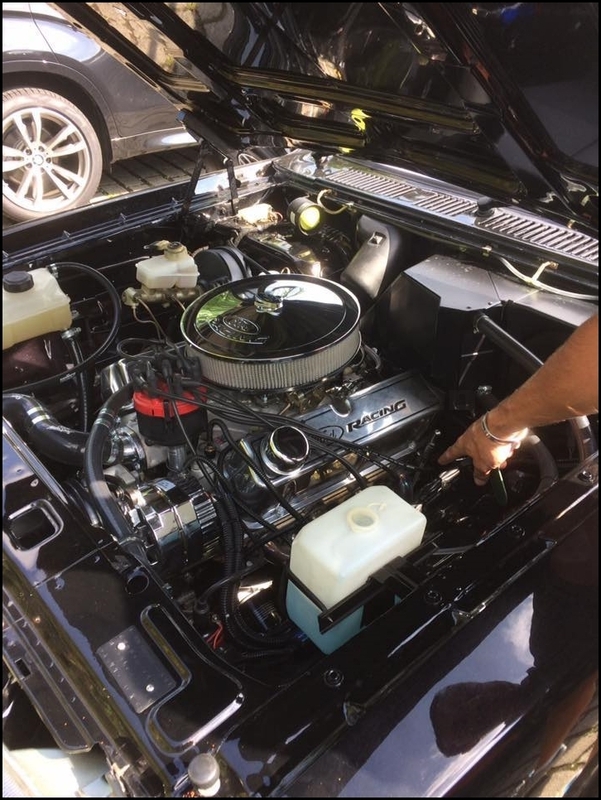 Steve was finally able to bring the freshly built Cortina out after being let down just before the last event. He never stopped grinning and even though it was running hotter than he'd like it didn't stop him lapping.. It sounded glorious even in the carpark. As soon as he opened the bonnet the attention to detail of the build was obvious. As I didn't have a 5th gear I was lapping using only 3rd and 4th. The only areas that caused an issue was Flugplatz to SX, the Foxhole, Kesselchen and Pflanzgarten. 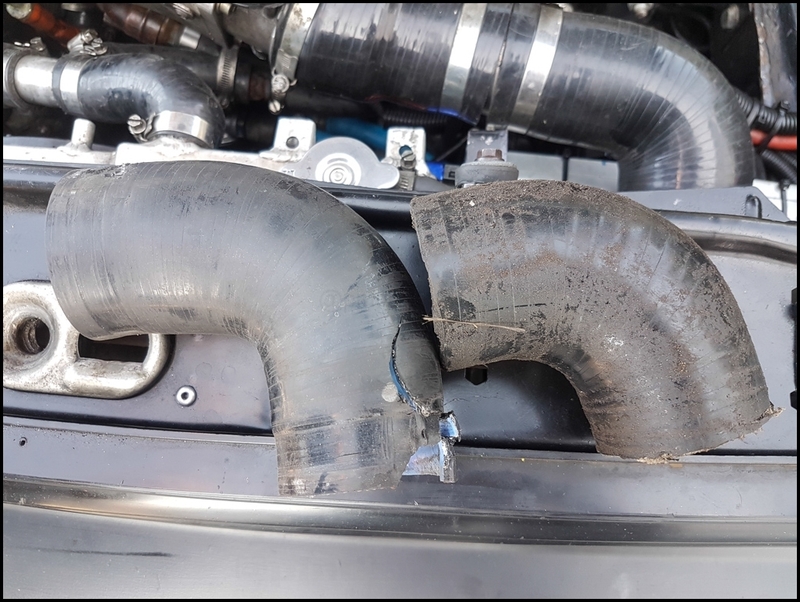 I feathered the throttle in 4th at 7,100rpm (137 mph) which wasn't ideal but I revved it harder when I built this engine and I know it can take it. The only real downside was it made the sweltering cabin even hotter than usual and I limited my sessions to a lap at a time just so I could hydrate between laps and allowed the car to cool a little. Standing areas in the shade were at a premium for those having a breather between driving. 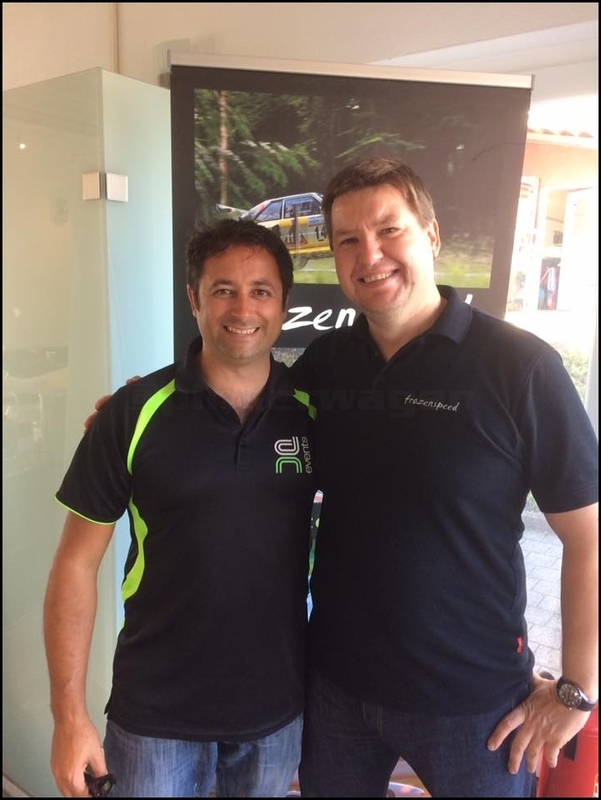 If Darren & Jochen have smiles like this during an event, you know it's going very well indeed and Jochen is happy with his photos. I know I had a split banjo connector and I stripped 5th but honestly I'll take that. In the scheme of things neither were day-ending issues and if I'm going to have an issue they are preferable to a major failure anytime. 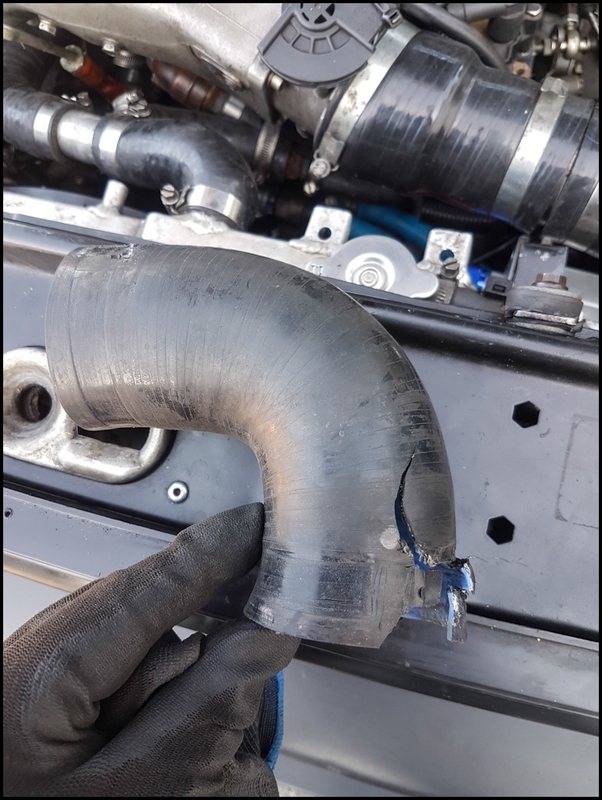 It burned under 100ml of oil over the entire trip but even after yesterdays drama with the water loss I hadn't needed to top it up after the first heat cycle to remove the air bubbles. The Hankooks were holding up incredibly well and the hard sidewalls gave me the most precise turn in that I've felt for a long time. 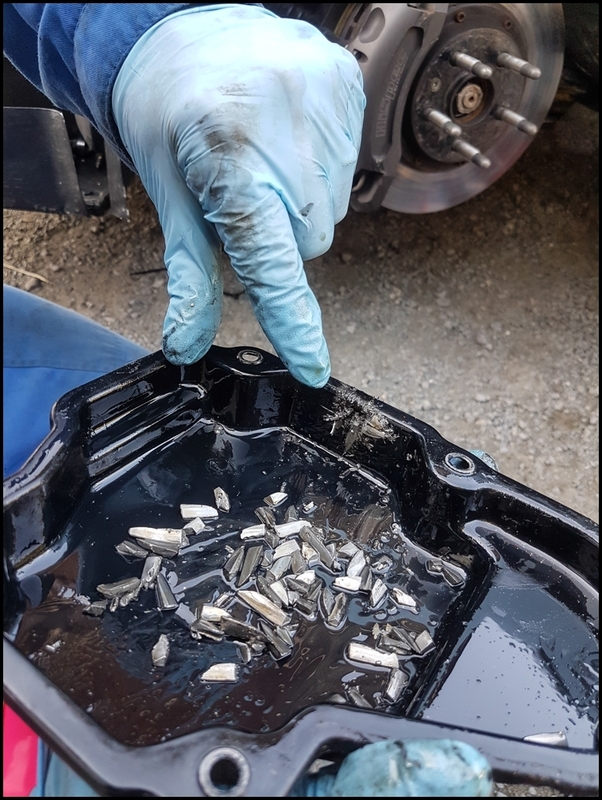 The gearbox was getting a bit hotter than usual and this was causing the plate diff to open up a bit, spinning the inside wheel out of tight corners where it hadn't done before. A winter modification is a gearbox oil pump and cooler. Freddie had never been out with me before so he jumped into the Golf whilst Matt sat in with Sam. I never realised but halfway round the roof vent on his side closed and he had no cool air for the 2nd half of the lap. He was absolutely soaking when we climbed out at the end. I still can't keep up with Sam out of the slow corners even with the plate diff. I just run out of traction but in the high speed corners the roles are reversed. If you want to see the difference High Boost makes, watch at 4:30 when we exit Bergwerk and I flick onto the 1.25Bar setting. I had heard people talk about the difference when driving in the shade but never really thought about it. As it was so hot today, I really noticed the change when we were driving through the shaded sections of the track. Quite surprising and something I didn't expect to be able to notice. Then the red lights came on and we drove back to the carpark. Initially I assumed there had been an incident but then looked at the clock and it was the end of the day ! I haven't lost track of time like that for a couple of years which I will take as a very good sign indeed. 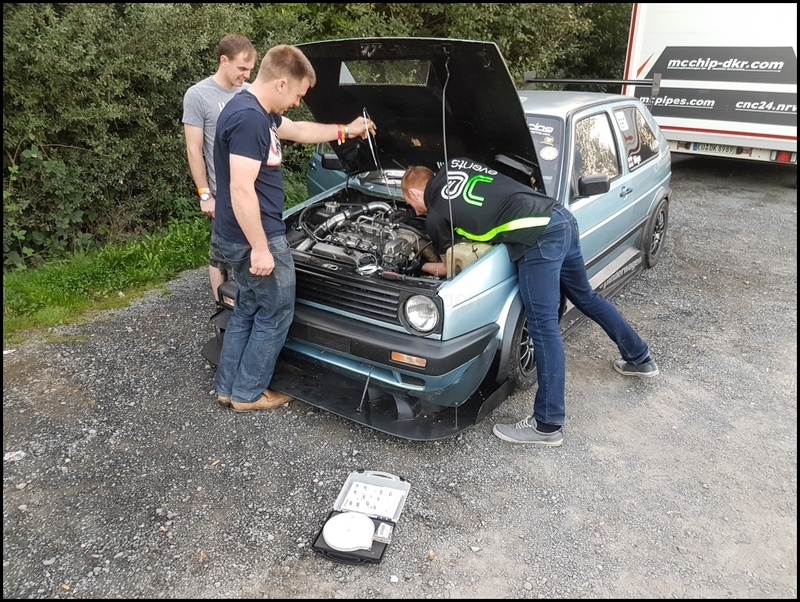 I loaded the Golf onto the trailer whilst Lou, Matt and Cat helped pack up and collect the transponders. Usually this is the part where we park up at the guesthouse, have a shower and then go for a meal and a beer where we all reflect on the previous 2 days. Instead we popped back to the guesthouse, had a really quick shower then headed off to Bilster Berg for the trackday tomorrow. I sit down to write these reports and occasionally have to remind myself how far the Pinderwagen has come in the last 10 years. 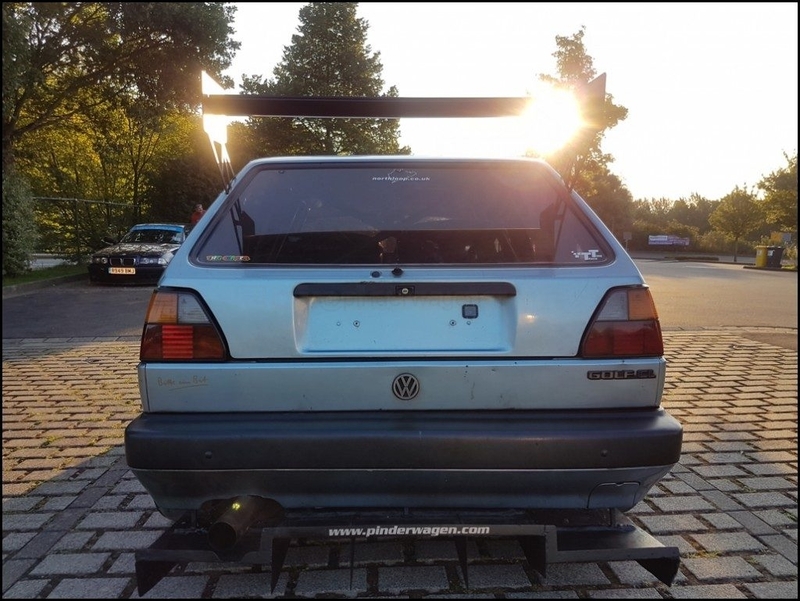 When I first built it as a pretty standard MK2 Golf, I never imagined it would end up here. 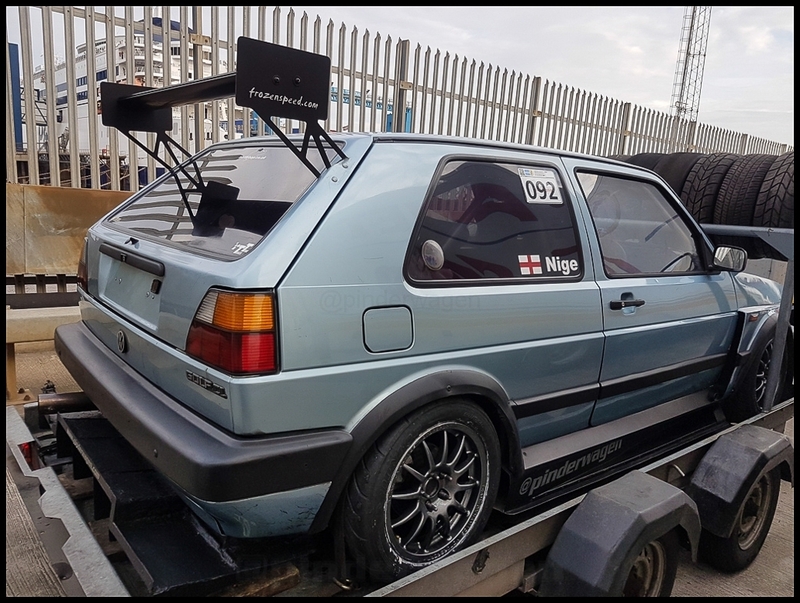 If I was starting from scratch tomorrow I wouldn`t even build a track car from a MK2 Golf, as it's far too compromised as a platform for me to achieve what I want to. Back in 2007 it was an affordable base, was simple enough that I could work on it and I had nowhere near the expectations or knowledge I do now. The ongoing development has simply been as a result of me trying to address an area that I thought could be improved upon. Brakes overheating ? Fit better pads and fluid. Still overheating ? Add cooling. High speed instability ? Add a splitter. It never stops but I now understand my development is reaching a plateau where anything I do in future will only be for minimal gains. I need to keep reminding myself that I should never forget all the hard work I`ve done means I write comments like this without a second thought. "As we exited the pits a very nice 911 passed on a flying lap. I decided to try and tag onto him, I know we are pretty evenly matched over a lap." 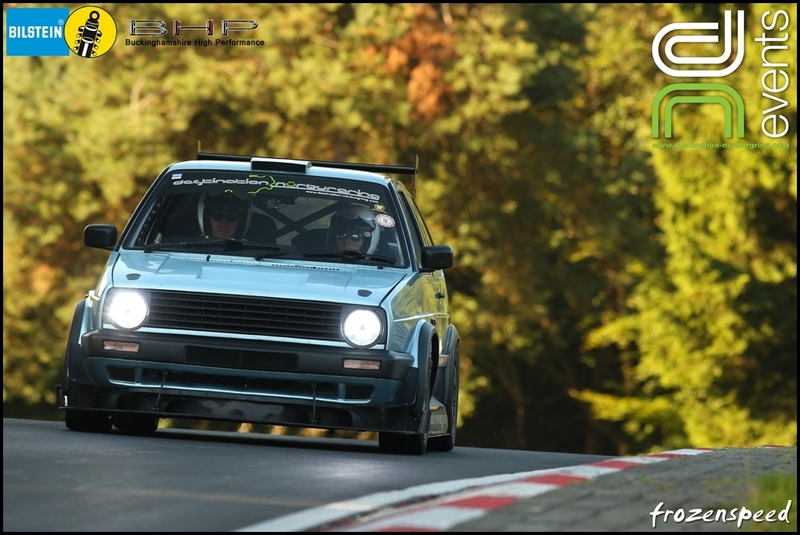 This was a mid 7.3x BTG lap with me and a passenger in a MK2 Golf following a 911 and I wrote it without sitting back and appreciating what it actually means. 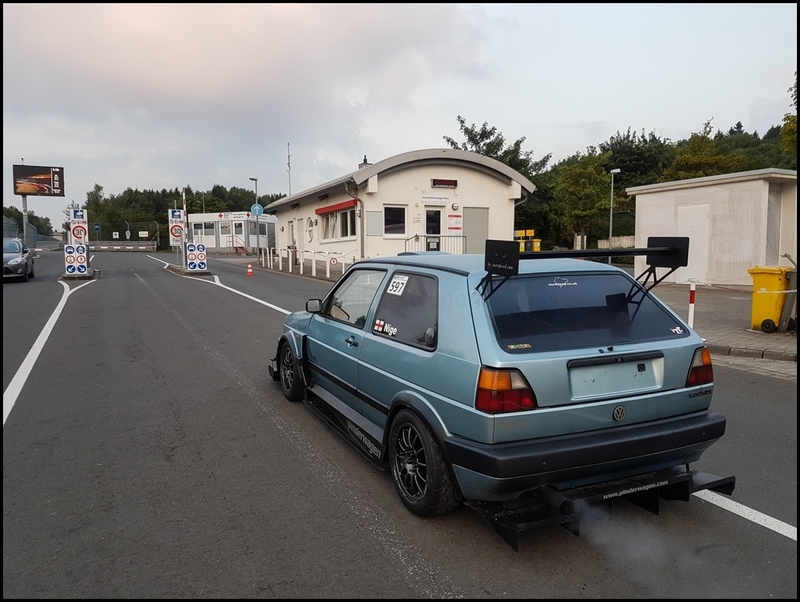 This car pounded round the Ring for 2 days doing over 40 laps in some of the hottest conditions I`ve driven in since I added the Turbo and there were a fair few far newer, standard cars that had worse mechanical issues than me. This is my last Ring trip until 2018 but I shall look back at this trip over the winter and hope that my future trips are as enjoyable as this one. Last edited by MagnetON; 19 Oct 2017 at 11:12. Reason: This thread has been pre-approved.